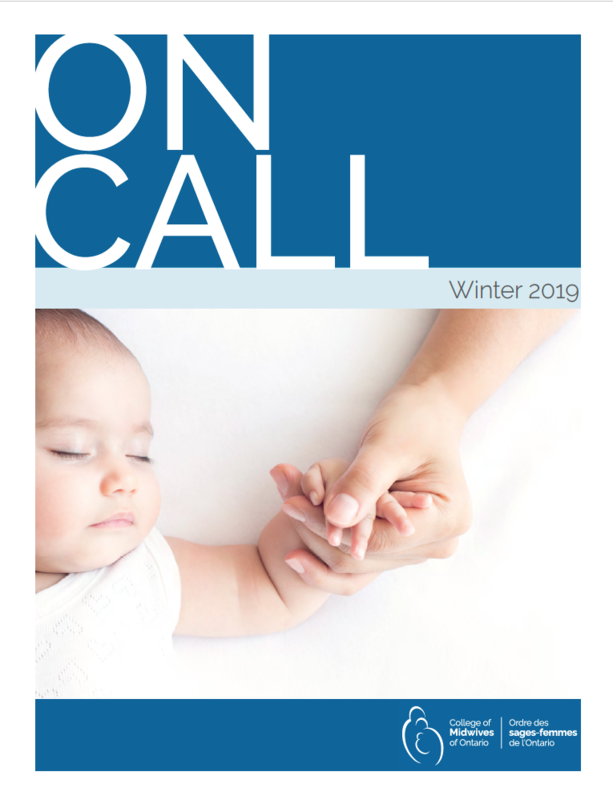 The Winter 2019 edition of our On Call newsletter is now posted to our website! Our winter issue gives an update on our current financial situation from our President and our Registrar, talks about our 25 year anniversary, and shares a new brochure for midwifery clients. We also share highlights from our most recent College Council meeting, important updates for midwives on continuing competencies, QAP, and our processes for complaints, discipline, and Registrar’s Investigations.